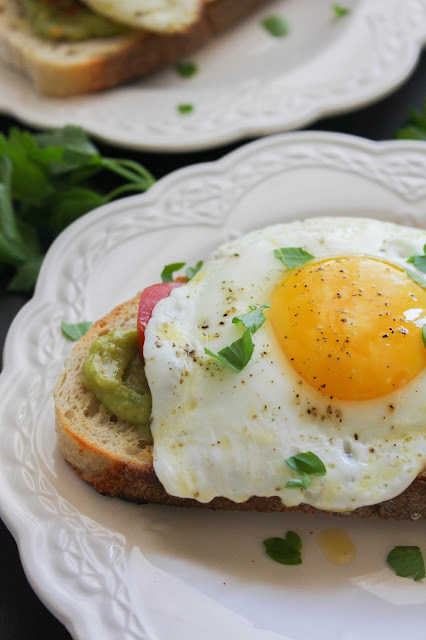 This Simple Egg and Guacamole Toast is sure to become your new favorite breakfast! 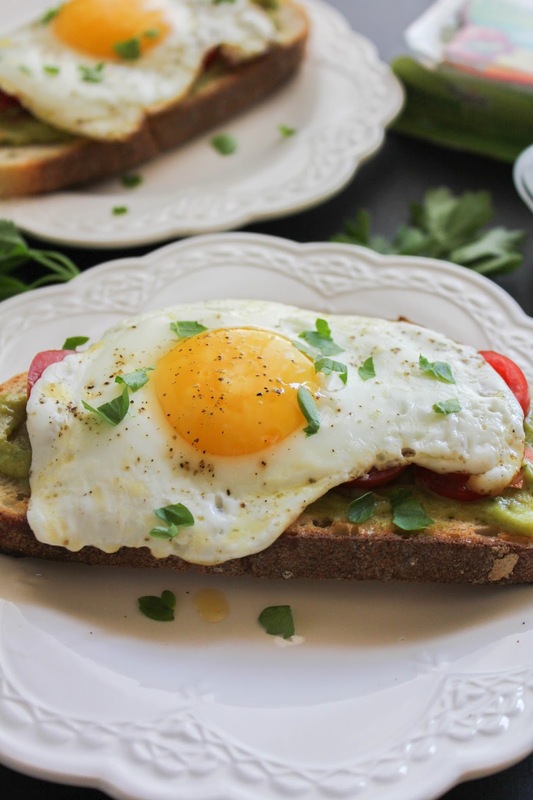 Quick to make and full of flavor, it's a hearty and satisfying way to start your day. I'm always up for a quick, delicious and hearty breakfast during the week. Even though I'm usually pressed for time, it IS the most important meal of the day so I try to eat at least a little something. 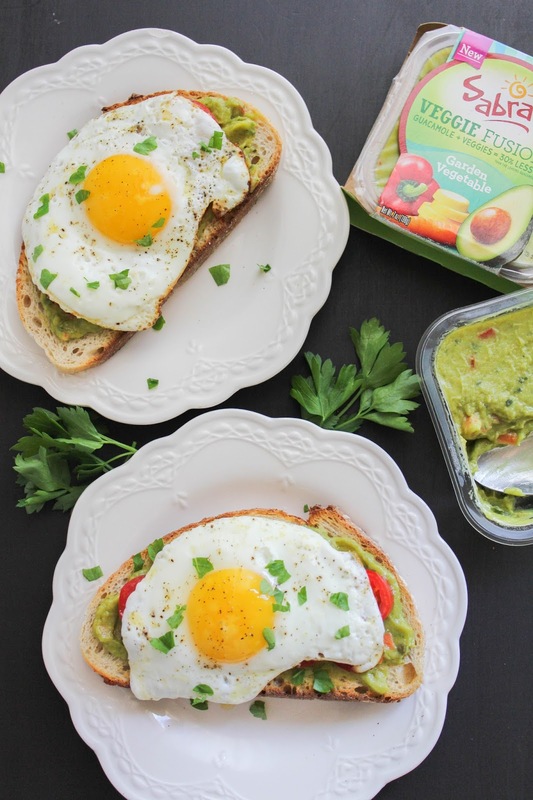 I've been a huge fan of avocado toast for a long time, and my newest guacamole toast creation has become my go-to breakfast on busy weekdays. 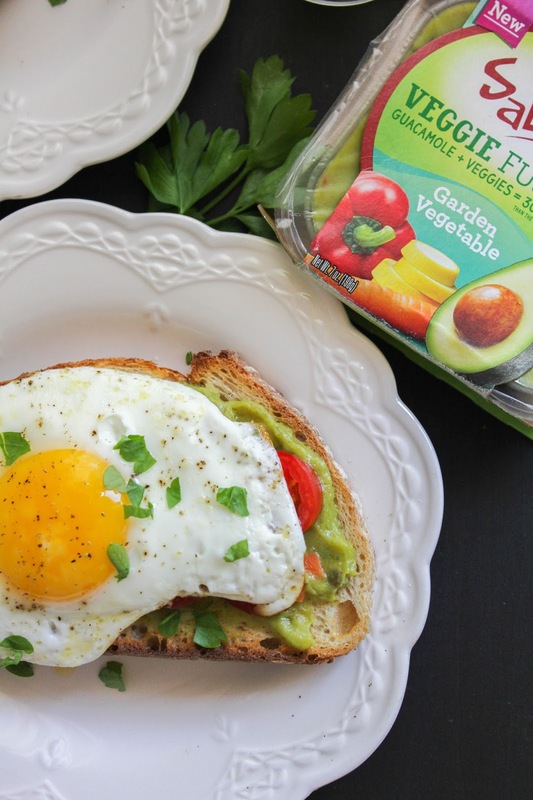 This simple breakfast is made with Sabra's new line of Veggie Fusions Guacamole. Their hummus and salsas have been my faves for a long time, and now I can add this amazing guacamole to the list, too. Sabra Veggie Fusions Guacamole comes in three delicious varieties - Garden Vegetable, Mango Lime and Southwestern. 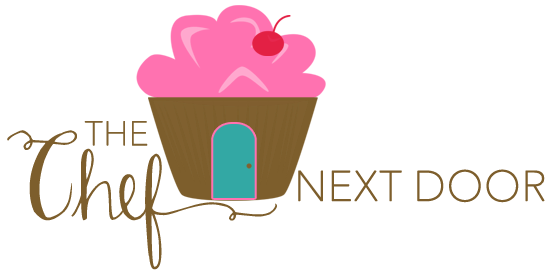 They're all vegan, gluten free and kosher, and are made with 7 different varieties of vegetables. And they've got 30% less fat than a classic guacamole! My breakfast toast starts with a thick slice of sourdough bread, toasted to a golden brown. Then I add on a heaping helping of Veggie Fusions Guacamole, sliced cherry tomatoes, a perfectly cooked sunny side up egg, and a sprinkle of fresh parsley. It's delicious, hearty, and packed with flavor. I'm enjoying every one of the Veggie Fusions varieties, but I decided to go with the Garden Vegetable for this breakfast toast. Made with Hass avocado, onion, carrot, tomato, red bell pepper, yellow squash, and jalapeño pepper, it's fresh, healthy, and so flavorful. Visit www.sabra.com/veggiefusions to learn more and to grab a $1 off coupon! Now, who's ready for breakfast? Toast the bread slices until golden brown. Spread two heaping tablespoons of Sabra Veggie Fusions onto each slice of bread. Top evenly with the cherry tomatoes. In a small skillet, melt the butter. Cook the eggs until the white is cooked through and the yolk has set, but is still soft, about two minutes. Sprinkle with salt and pepper. 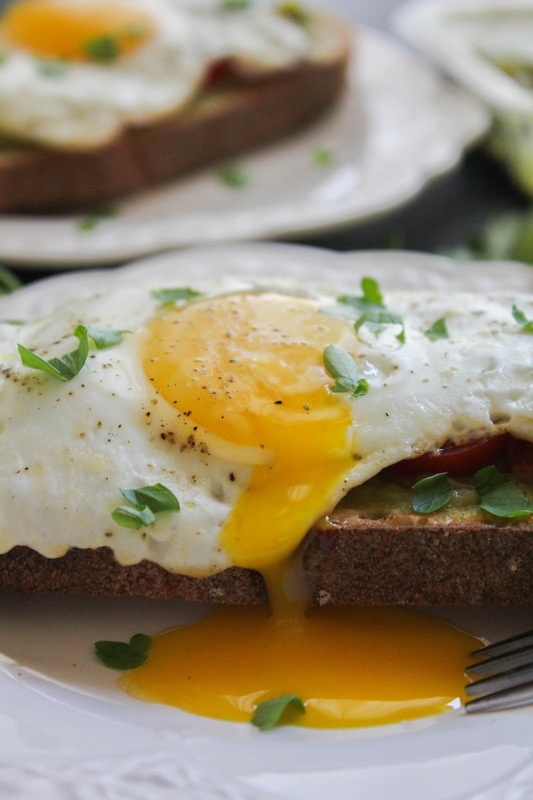 Place the eggs onto the prepared toast, then sprinkle with the fresh parsley. Serve immediately. Disclosure: Sabra provided me with product to develop this recipe, as well as compensation for my time. All opinions, as always, are mine.